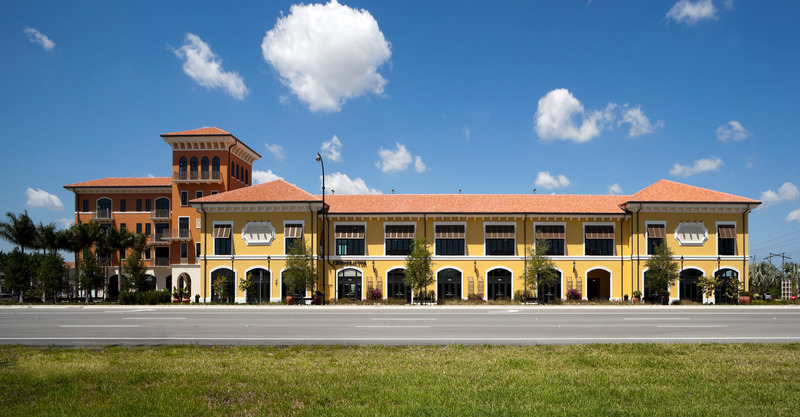 The Miramar Mixed Use Development Project is designed in the Mediterranean Revival Vernacular Style. It consists of three buildings which wrap around a parking garage and a fourth building which is connected by an open air bridge. 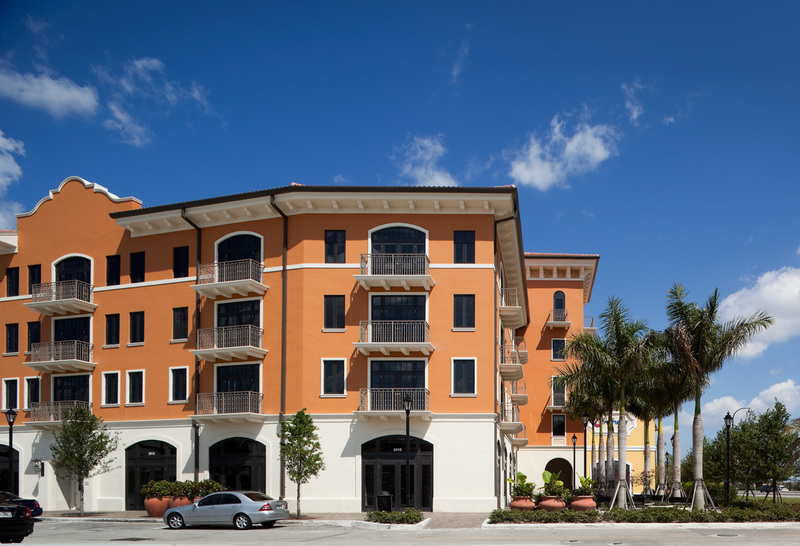 It is one of five town center blocks designed as part of the ‘new’ City of Miramar downtown. Built by a private developer on city owned land, the project is located one block from the Miramar City Hall, Library and Performing Arts Center. All four buildings have retail on the ground floor. 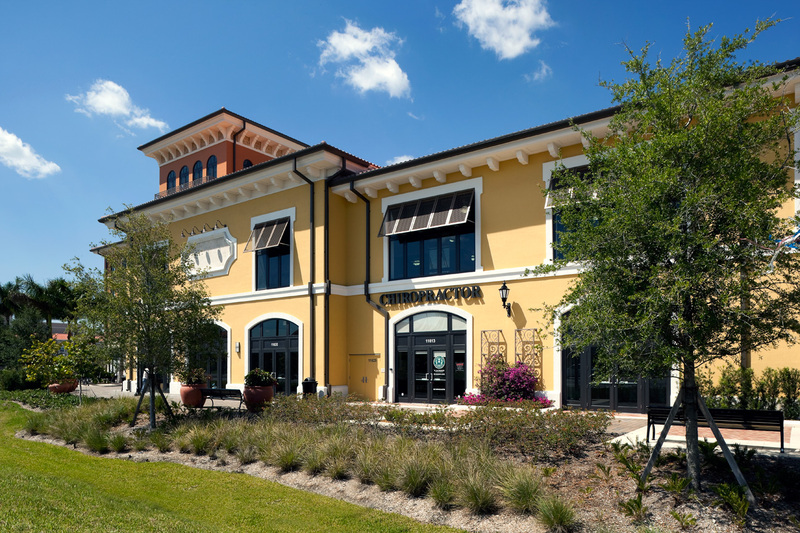 Two of the buildings have condominiums on the upper floors, one has offices and the fourth has a fitness center. Articulated to break down the scale of the block, the buildings are designed to appear as though they could have been built over time. 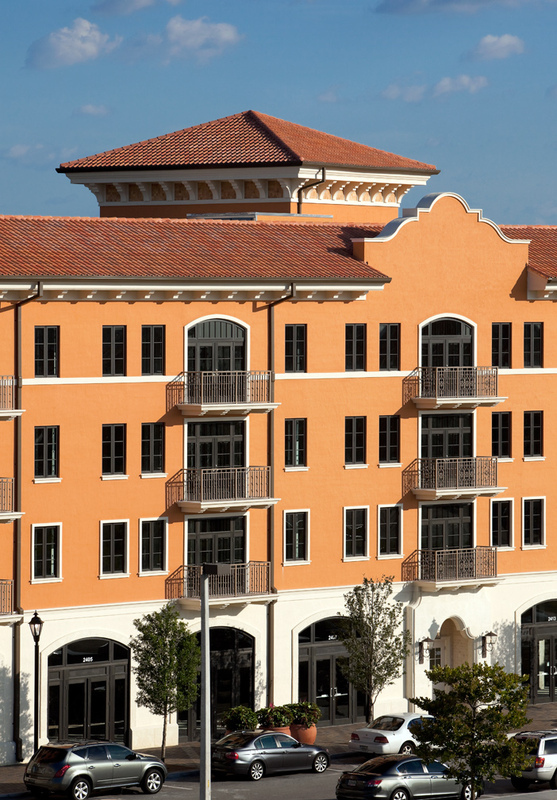 They feature hipped roofs with red barrel tile, eaves with large overhangs, balconies, arcades and accentuated entries. The buildings, ranging from two to five stories in height, serve to conceal the parking garage from the street and are designed so that the residential building has access to the parking garage at every floor.